Love it, love it, love it! 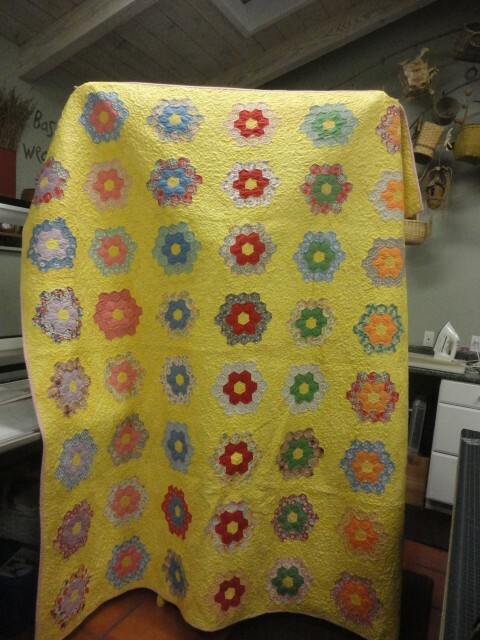 It is such a happy quilt. 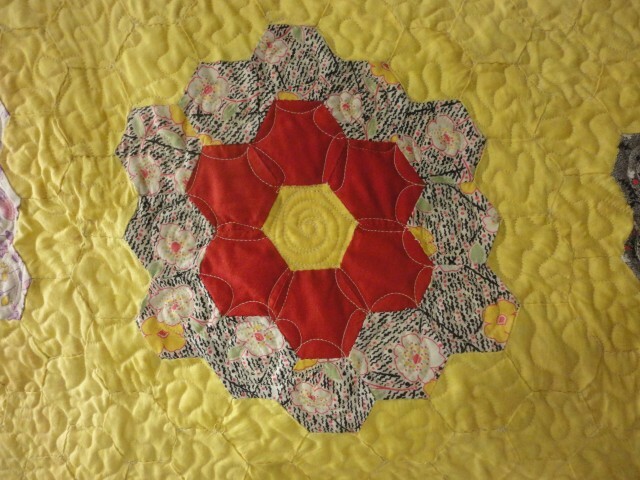 Nice creative quilting around the flowers! Love it. It is beautiful!! Nice job, Pam! 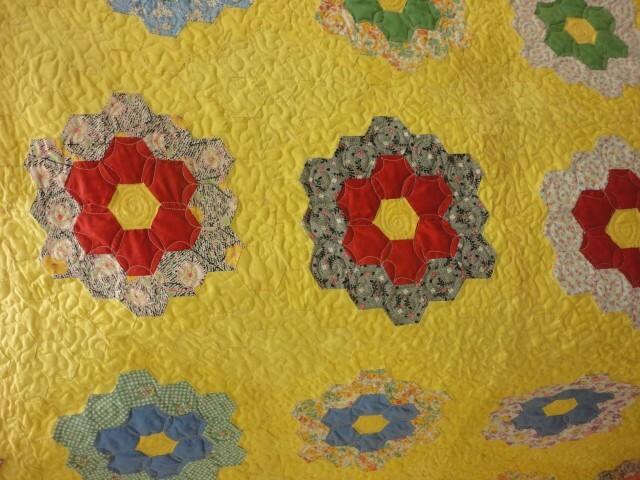 Hope there are enough quilters growing up now to finish our unfinished items 🙂 Up to us to get them trained up.